In the last decades, many community-based studies have addressed predictors of nursing home placement (NHP) among the elderly. So far, predictors have not been analyzed separately for different age groups. For a German GP-sample of 3,208 subjects aged 75 years and older, socio-demographic, clinical, and psychometric parameters were requested every 1.5 years over three waves. Logistic regression models determined predictors of NHP for total sample and for two different age groups. A CART analysis identified factors discriminating best between institutionalized and non-institutionalized individuals. Of the overall sample, 4.7% of the sample (n = 150) was institutionalized during the study period. Baseline characteristics associated with a higher risk of NHP for the total sample were age, living without spouse, cognitive and functional impairment and depression. In the CART analysis, age was the major discriminator at the first level (at age 81). 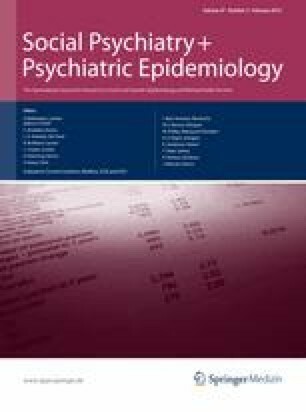 In subgroup regression analyses, for the younger elderly (age 75–81) being single as well as cognitive and functional impairment increased the risk of NHP; in the advanced elderly (age 82+) being widowed and subjective memory impairment were significant predictors for NHP, and cognitive and functional impairment became non-significant as predictors of NHP. Predictors of NHP may differ in old age groups. The fact that many predictors show inconsistent results as predictors of NHP in the international literature may be attributed to the lack of differentiation in age groups. Further members of the AgeCoDe group: Heinz-Harald Abholz, Matthias C. Angermeyer, Cadja Bachmann, Wolfgang Blank, Mirjam Colditz, Moritz Daerr, Sandra Eifflaender-Gorfer, Angela Fuchs, Frank Jessen, Sven Heinrich, Hanna Kaduszkiewicz, Teresa Kaufeler, Manfred Mayer, Julia Olbrich, Heinz-Peter Romberg, Anja Rudolph, Martina Schäufele, Sandra Schmitz, Britta Schürmann, Janine Stein, Michael Wagner. This publication is part of the German Research Network on Dementia (KND) and the German Research Network on Degenerative Dementia (KNDD) and was funded by the German Federal Ministry of Education and Research; Grant Number: 01GI0102, 01GI0420, 01GI0422, 01GI0423, 01GI0429, 01GI0431, 01GI0433, 01GI0434, O1GI0710, 01GI0711, 01GI0712, 01GI0713, 01GI0714, 01GI0715, 01GI0716.